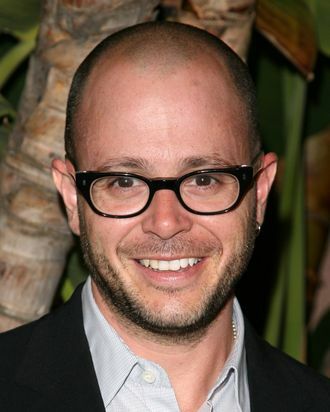 Tonight’s Mega Millions lottery has grown to a staggering $640 million, and Damon Lindelof wants in. The Lost co-creator (and sorta-savior of The Killing) tweeted a picture of his new lottery ticket, and he has decided to play Hurley’s famously cursed lottery numbers from his own show: 4, 8, 15, 16, 23, and 42. “The numbers are still cursed,” Lindelof assures TMZ. “That being said, I’d be kicking myself for the rest of my life if they came in and I hadn’t played them because I’m greedy like that.” Those numbers have worked before in real life: Around 9,000 people early last year won $150 when four of the Lost numbers came up, and one of them was Vulture’s very own Sarah Frank! Has she suffered any ill effects since? Well, we did force her to make this, but otherwise, all clear.